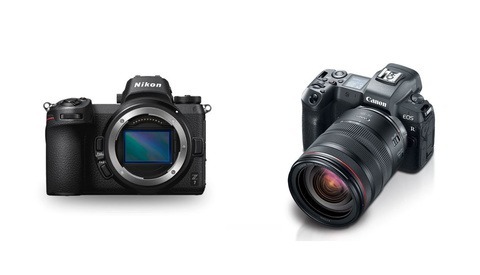 Trying to decide between Canon and Nikon may seem like a no-brainer for many professionals with years of experience. For the most part, when a professional picks a certain camera manufacturer it's for the long term and they rarely switch. Previously the cost and time required to make the transition from one to another was simply not worth it, especially considering the fact that the differences in real-world use were mostly minimal. Recently, however, it seems the gap between Canon and Nikon seems to be growing with Nikon cameras being noticeably better. 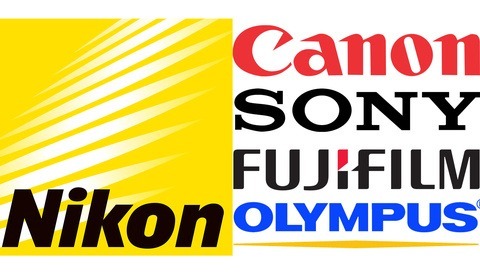 Jared Polin gives his thoughts on the current line up between Canon and Nikon. Canon's mid to high-end cameras like the 5D Mark IV and the 6D Mark II don't seem to hold up very well against the Nikon D850 and possibly even the D500. Looking at the specs on paper it would seem Nikon has Canon beat. Polin does, however, go on to discuss the differences in lenses and the type of lenses available for both systems. Personally I do believe that Canon has the better and more effective glass, but, of course, that's still up for debate. Both flagship cameras are described as being very similar in the video, however, I do have to disagree on this point as I consider the 1DX II to be one of (if not) the best DSLR currently available. This discussion can go on and on, but this latest video from Polin may be helpful to anyone that's still undecided. Always a fun topic of conversation. It's a question I think a lot of the young blood just getting in to the game puts way too much focus on. I think a lot of young photographers are getting a Canon, or a Nikon or a Sony body more so because it's what they're friends shoot, or what their favorite Instagrammer shoots, rather than what feels right in their hand or what body specs are more catered to the types of images they want to capture. As most of us here are already aware, it doesn't take long before your skills become more important than the equipment you're shooting on. Shooting on a 1D vs D5 is irrelevant, the better photographer is going to take a better photo on either camera and it's always been as simple as that. Now having a discussion on the lower end and pro-sumer bodies is a more important topic of conversation because thats where I think you start getting into undeniable distinctions between image quality, features and ergonomics between a lot of these systems. Just my two cents. Word. When I got into photography years ago I bought Nikon because it's what my dad shot with. I have a canon camera too so i can mess with that system as well but I mostly stick with my Nikon. This is already an outdated video. I love my Nikon cameras and lenses but am a little envious of a few Canon lenses: 16-35 f/2.8, 11-24, f/1.2 anything. Mostly because it’s actually a fun topic for many people. Some people enjoy technology :-). I enjoy technology too, believe me, i work on IT. 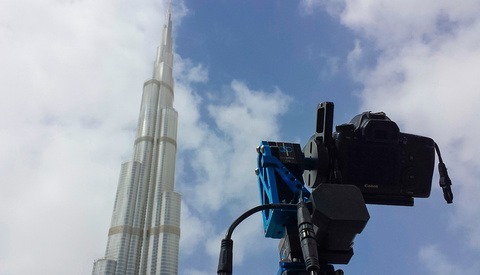 But this thing then evolves to the "my d*ck is bigger" argument, which adds nothing if you're using a 3000USD camera like a 100USD point and shoot when on vacations with uncle Bob. This is the main issue, there should be a video, or article where people are put to the test, make'em think, what will benefit me on the long term, will i actually want to be good, or do i want to shoot some leafs and cats? Make people decide on what they dream for themselves. The one elephant in the room nobody seems to talk about is that the Nikon (esp D810, and even more the 850) - has a LOT more Dynamic Range than any Canon. Dynamic range is more than just being able to recover bad exposure, it has to to with the tonal smoothness throughout an image with rich details in shadows and highlights at the same time, Canon can't even come close to comparing in this realm, therefore there really is no choice if quality matters. It's kinda that simple. I shoot Nikon and love my D810 but "a LOT more Dynamic Range" isn't always easy to see. Sometimes, but not always. This in not true with the 5Div, plenty of tests show its about .5 stop difference better for NIkon at the low ISO and even at 400 ISO and above, in fact Canon takes the lead at ISO 1600 (think events and such). ISO 64 is great for landscapes, which is the scenario that you can use a tripod and bracket if you wish making it a surmountable difference. Also, the Dual Pixel auto focus is an absolute game changer that gets completely over looked, no manufacturer can even come close. It's true the D810 (I'm not sure about the D850) only has superior DR at ISO 64. I don't think either is dramatically better than the other through most of the range. It's not always practical to bracket but, yeah, it works most of the time. DPAF is not a video thing only. I regard our 5div as a kind of hybrid. DPAF is so good and accurate, that I can basically use the 5div with touch screen to quickly change focus points like a mirrorless camera. Is sensitive to -4ev on almost the whole lcd, too. Really? I had never heard anyone mention it for anything but video. I do agree. Canon just dropped the ball. But the dynamic range depends on the Sony sensor. And the sony sensor is used in Sony -obviously-, Nikon and Fujifilm. But in the short answer Canon vs. Nikon: NIKON. ). If you rely on landscape shots and need to push 5-6 stops regularly, the D810 and new D850 are for you. But so far I can hardly remember having needed to push more than 4stops. Having solid mid to high ISO is more important to me. This is like "Honda vs. Toyota". Question- can anyone honestly tell from a picture what system the picture was taken? In the bicycle universe, this is a debate as well. One manufacturer's carbon layup vs. another. Yet if you jump on any given similar bike from different bike brands, you're grasping at straws to guess what bike you're sitting on if it were a blind test. For people new to photography, flip a coin. Learn the art, hone your skills. Then the only ramification would be if I just got fed up after READING COMMENT BOARDS, that I decided to jump from Nikon to Sony or Canon... and I needed to sell my gear and buy into the next brand. Yikes. I shoot Nikon. I'm going on two years of camera/lens ownership, and I'm more concerned with technique, composition, nailing it in-camera. I'm not even worried about Lightroom at this point to master it, because my style is to go less post / more of what I'm doing before I get there. The absolute last thing that would even cross my mind (it doesn't...) would be to wonder, "I wonder how this would come out on a Canon?" I'm gonna watch the video just for giggles. As user of both brands: If you need a vast array of quality glass, or good video focusing, go for Canon. If you often do post-edits and DR is important to you, Nikon. I use both. It likely wouldn't have happened that way if I hadn't been gifted a (nonfunctional) Nikon EL and five manual focus lenses a couple of years ago; instead I would be exclusively Canon as I had been for ten years before that. But one thing led to another, and I now have a decent set of cameras and lenses from both manufacturers. Neither is superior to the other. Yes, there are the differences highlighted in the video. But it's worth looking at the history. One of these companies may be up in one area for a while but it doesn't last. Maybe before I actually used Nikon equipment I might have taken a partisan line in favor of Canon, but that would have been based largely on ignorance and tribalism. A camera is a camera. As soon as I see that "Please look at me" hair, I jump right to the comments to say that photobloggers are typically there just to sell you something, or stir the pot, or do whatever they can to turn the attention to them. If they were better photographers they probably wouldn't be wasting their (and our) time with these specious topics. If your'e new to photography and are just starting out-- are you really looking at a $3k+ camera, plus the glass to go along with it? There's no way in hell anyone starting out can get the most out of that. It's not money, but just saying. To that point, and while he starts out by qualifying this isn't incorporating Sony in this compare (or any other brand), it's limiting. Yes, I get it, "Canon vs. Nikon" only. Instead, I'd suggest comparing technologies rather than brands. That's a better technical comparison. He just went up and down the price points and revealed nothing earth-shattering. I actually think you hit the nail on the head when you said "I'd suggest comparing technologies rather than brands". I completely agree with that. I think people would be better served determining what technology appeals to them, makes their job easier, etc. Doing so is why I switched from Canon to Sony. The technology in the Sony bodies and lenses really does make taking/making images easier and more fun. So, I lost a little money in the switch, but it was completely worth it. The headline features for me were that all lenses are now stabilized, face and eye detection are SUPERB and have eliminated focus and recompose completely, the AF point spread to the edges of the frame is incredible, especially in combination with the tracking capabilities of the camera, no need for AFMA, and I like that smaller/lighter lenses are available, especially with newer technologies. Literally the only lens I miss is the 35L II. I have the Sony 35/1.4 but the Canon was sharper wide open. But I accepted the slight loss of sharpness in favor of a smoother background and smaller size and weight (vs the 35L II with adapter). I love the Batis 135, the 100 STF, the A9 is awesome and the A7RII ain't too shabby either! Having just picked up the D750 a couple months back, I'm invested in FF DSLR for the time being. Granted, I only shoot with a 50mm prime and a 70-300mm for my kid's sports. I'm thinking of upgrading to a 200-500mm for next football season and ditching the 70-300. I'm also pulling the trigger on an 85mm prime for portrait work. But the here and now, I have two relatively cheap lenses in my collection. I can easily get by with what I've got. Now, I'm never going to be foolish enough to say I'm sticking with DSLR for the rest of my photographic life, as Nikon is developing a mirrorless option. So we'll see what shakes out. But for the moment, I have fun with my 750. As well, there's so much more I want to accomplish with it that I have no real appetite to switch systems and keep learning cameras. Not my intention- I'm not that much of a gear freak in so much as I understand it's a tool rather than a toy. I shoot street and getting into portraits now. It would be compelling to work with a smaller camera for street, but there's nothing holding me back with the full frame. I don't know. I'd rather have seen this dude compare camera technologies than what he's done here. He piques my interest, but then watched him rip apart Ken Rockwell on a youtube video this weekend. He came off as off-putting to me, regardless if anyone really goes for Rockwell or not. I had to end the video, it was obnoxious. I am a 25+ year user of Nikon gear. There are certain lenses that Canon has which Nikon doesn't which I own and use heavily (especially the 17 mm tilt shift and also the 11-24 f4). I don't want to own any Canon cameras however and adapt them to my Leica SL. It's not the camera, it's the mind behind it. I shoot Nikon, why? Because it was a great deal at the time. I had been a Canon user, i love Canon....and Nikon, i bet i would love Sony too.